If you polled coaches or fans familiar with the conference preseason on who would win the Pac-12, you’d probably hear Oregon, Arizona St, or USC. Maybe you’d hear UCLA with their insanely talented roster or maybe Sean Miller could work some magic with a makeshift Arizona team whose recruiting was plaque by the FBI probe. Similar to Pac-12 football at the beginning of the season, it appeared that no one wanted to assert themselves in the conference. It appeared that Arizona State was poised to own the conference after another win against Kansas. However, the more things change, the more they stay the same, and the Sun Devils regressed to the mean again. The hits continued to come for the conference as UCLA parted ways with Steve Alford after the Bruins got off to a 7-6 start. The highly touted Oregon recruit, Bol Bol, went down with a season-ending foot injury and essentially ended their shot at the conference. Andy Enfield looks like a lame duck at USC after underachieving again with a talented roster. One that most coaches would be able to muster more than a record that’s two games above in a mediocre conference. Arizona’s struggles aren’t much of a surprise for anyone given the talent departures and lack of recruiting class. Through the disappointments, a dark horse from Seattle has appeared. 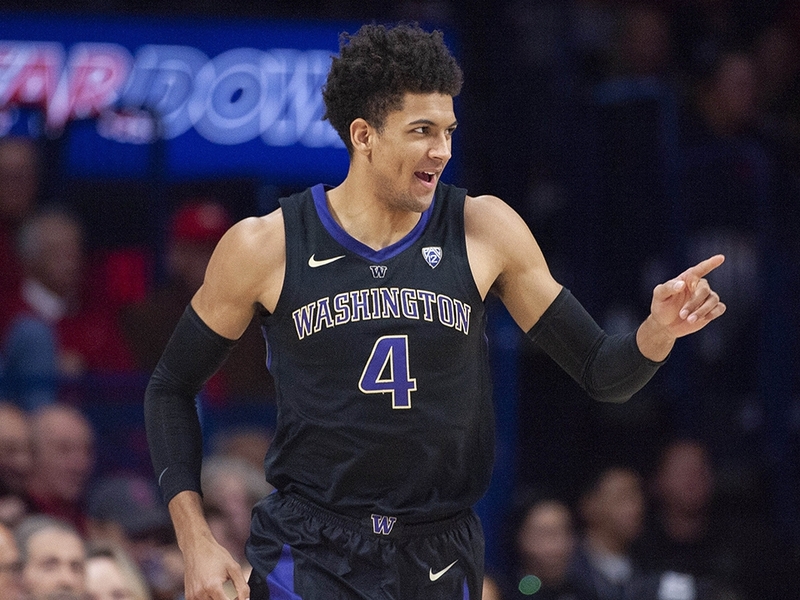 The Washington Huskies’ doglike mentality on the defensive end has pole vaulted them into complete control of the conference. The Huskies don’t rank in the top 100 in any major offensive categories outside of field-goal percentage, where they’re 75th. On the defensive end, they’re in the top 100 in blocks per game, opponent field-goal percentage, scoring defense, steals per game, and turnover margin. Prior to their loss this past Saturday, the Huskies were 10-0. Washington has seven remaining conference games left, two of which are against Cal and Washington State, who are a combine 3-19 in conference. If the Huskies can manage to get back on track, they’ll run away with the regular season title.